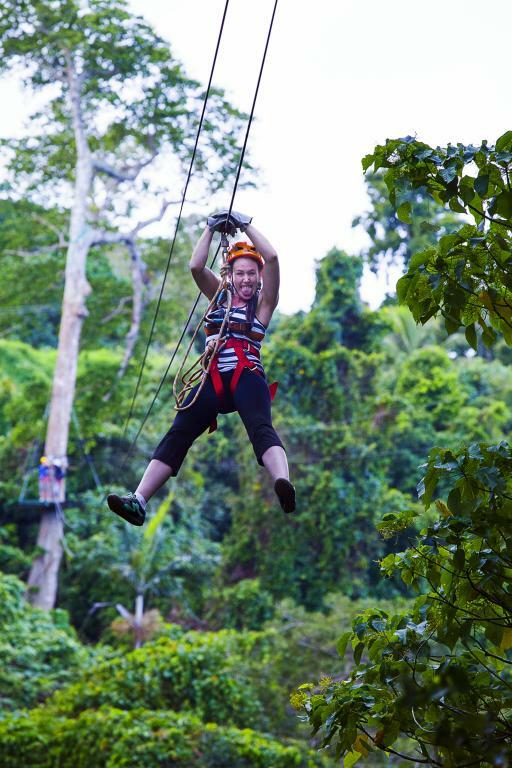 For a canyon adventure showcasing the Vanuatu Jungle on the main Island of Efate, you can't go past the Vanuatu Jungle Zipline tour. 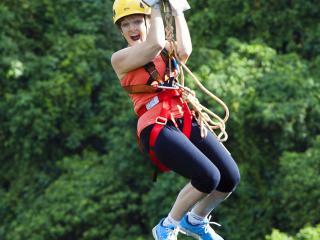 During your Zipline ride you wear a full safety harness like when abseiling. This way the wire ropes carry you safely from platform to platform right through the forest canopy. Experience a sensational adrenalin rush as you glide past the jungle between the zip platforms and suspension bridges with panoramic views over to Mele Bay and the Vanuatu islands. 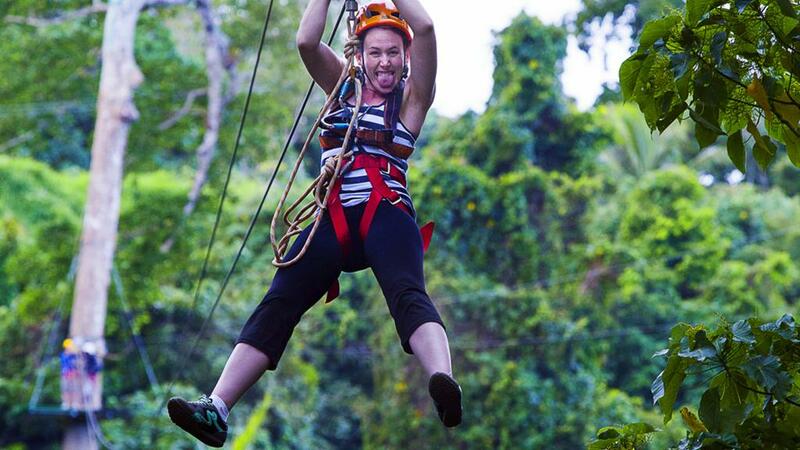 Transfers: Guests must make their own way to the Zipline Booth located next to Nambawan Cafe, on the seafront in Port Vila town next to Vanuatu Helicopters. Days of operation: This tour operates daily and in all weather. 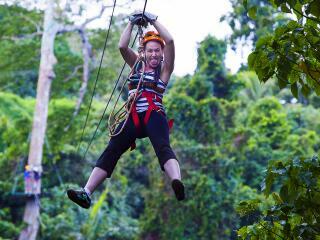 The Jungle Zipline is designed for participants of average mobility and strength who are in reasonable good health. There is a weight restriction of 130kgs. From the beginning to the end of the Ziplines 800m later, you remain continuously connected to the safety line. Children: are welcome from 8 years old. What to bring: wear suitable clothing that you can put a harness over; closed secure footwear; camera; glasses strap if you have prescription glasses; towel and change of clothes if you are abseiling as well; swimmers if you are being dropped at Cascades or Hideaway.